A look back at the origins of the PC-Engine, its Western counterpart the Turbografx-16, and the pack-in title Keith Courage in Alpha Zones. There is also an accompanying livestream that can be viewed here or by following the link in the card at the end of the video. Podcast: Are You One of Us? 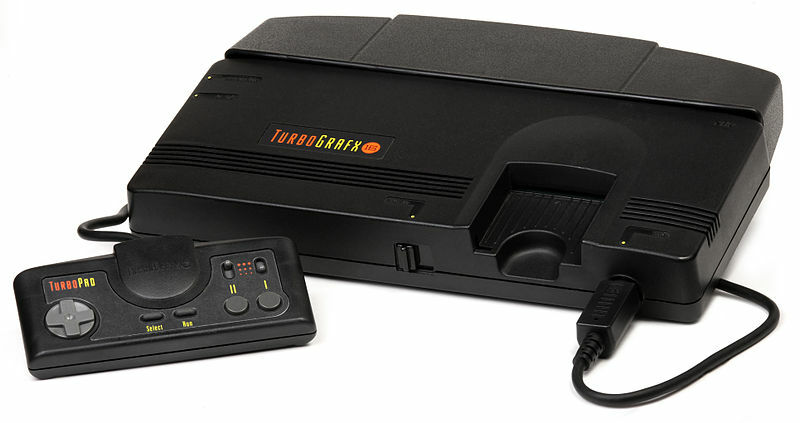 This week Fred flies solo to discuss the short live but highly coveted niche console the Turbografx-16. With an 8-bit processor and a 16-bit graphics card this Japan-centric console by NEC only hung around for 4-5 years but has a cult following almost as intense as Sega. This episode covers its release, different versions, Japanese counterpart the PC Engine, and of course the expensive CD expansion and games. There was this brief period of time when the store shelves of Toys R Us had Nintendo games, Sega Genesis games, and Turbografx-16 games. After the Super Nintendo ushered in a whole mess of games in the holiday season of 1992 (the console premiered in 1991 but it had significant presence the following year) and the Turbografx-16 consoles moved to that dreaded area in the middle of the aisle. Before you knew it they were stacking up boxed consoles at discounted $99.99 price tags (the console originally was either $199.99 or $149.99, although I forget which) and in 1993 it was down to $49.99 with free games and all at once disappeared. Due to the fact that NEC’s “in between” console only moved at that exremely low price point, most people that owned the console kept it, which makes for a bit of scarcity on today’s market. Fortunately I have this buying guide here to assist you and aside from games, there really isn’t a lot to the accessories or hook-up of a TG-16. Of all the shmups I mention this month, the toughest to actually play the way it is intended will be Darius (pronounced “dah-rai-us”). This title premiered in arcades in 1986 by developer Taito and featured a super wide 3-screen arcade cabinet. The first monitor would be centered like you’re used to, but the other two would be at slight angles on either side, using mirrors to create one straight wide view. As a result the way you play the game is completely different because there’s a lot more to see coming and going around you. Nowadays you could do a decent job emulating it on widescreen televisions, but no one has decided to do it yet. Because of this visual mode it doesn’t work all that great on MAME and I highly recommend trying one of the home ports or later arcade ports, which were designed around 4:3 televisions. Darius isn’t only significant for having a super wide screen resolution, otherwise it would have died in obscurity as a one-off coin-op. It breaks the mold of the traditional shmup in many ways, including the fact that the player picks which level to play next. Much like Castlevania III it is impossible to see all 28 levels in one playthrough, in fact you will only see 7 in any one completion, but eventually you can piece together every level. Seafood haters out there will also note the interesting crustacean look to the enemies in the series. Your ship, the Silver Hawk, comes equipped with a cannon, bombs/missiles for ground attacks and a force field, all of which are upgraded by, you guessed it, power-up items dropped by destroyed enemies. Each level ends in a boss battle, although the size of the bosses isn’t quite the scale as I was used to with other shmups.